Whisky fueled books: Lucifer, the dancing Warden. The Prince of Lies or a victim a smear campaign. 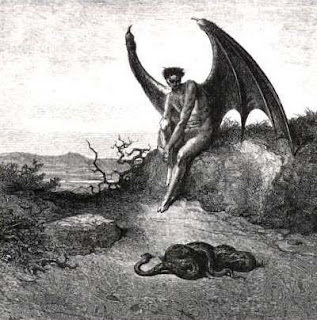 Lucifer is many things to different people but who is the real Prince of Hell? An exclusive interview with the fallen angel as the divine creatures of the world prepare for the release of a warts and all book that reveals their antics when not at work. You are know to most people as the fallen angel who was thrown out of Heaven for leading a rebellion. What caused you to take such drastic action? That whole rebellion thing has been blown out of all proportion as to be honest there never was a rebellion in heaven. The truth of what happened was God realised that you humans were rather a nasty bunch and a fair few of you would need to be punished for your actions during your lives. As a result he got together with a bunch of us angels and we decided that we needed a place to send the horrid gits to avoid heaven getting full of scumbags. I was all set to go off and study the expressive arts and dance but Michael pulled a fast one and put me forward to run our new prison. To be honest most of our brothers couldn’t organise a piss up in a brewery so there was only the two of us in the running. Michael said to me he was up for taking the job but then went behind my back to God to convince him I should get the it. I was so busy training for my dance classes that I missed what he was up to. Anyway to cut a long story short Michael got to stay up in heaven as the big angel boss and I became the prison warden. So there really never was a war in heaven? No, although when we left we did have a bit of a leaving party that ended in a punch up and I made sure Michael finished the night with a black eye. We may have left heaven but we bashed some heads on our way out. So you’re not actually the lord of evil then? Oh yes, I’m that as well, you see we take on aspects of what people believe we are. So down in hell between punishing the damned we think up pranks and stuff to play on humanity. Nothing serious like, just a few practical jokes so the angels have to run around and do something. We leave all the real evil stuff for humanity to come up with themselves. Could you give us a few examples of these practical jokes you play? Not really as it’s fun watching you argue about what I’ve done and what I haven’t. I will say that whole ‘The devil told me to do it.’ thing that people use as a defence is rubbish. I don’t tell people to do things that kill people, it’s against the rules and we get you in the end so there’s no rush. So as you're partly about the sin and the avarice have you ever given out the Euromillions lottery numbers to your followers in return for them doing deeds on your behalf? You need to remember my main job is to keep the bad guys locked up and to see they are punished. Yes we do like to have a bit of fun now and then, cause a bit of trouble but there is just no way we can compete with the evil stuff you come up with so we don’t even try. As for the lottery numbers I don’t have a clue what they would be, maybe one of the Irish gods could help people with that. What is your views on bacon? We love it down in hell, I mean who doesn’t love bacon. New inmates are always surprised when they first arrive as hell doesn’t smell of sulphur but it smells of frying bacon. It’s one of our best punishments really, to spend an eternity being able to smell bacon but never being allowed to eat it. An interesting fact about bacon and pork is the whole religious thing about not eating it came from Michael. He sneaked his own views on vegetarianism in there, god couldn’t give a rats arse if you eat pork. You’ve been portrayed many times in films so which is your own personal favourite version of you? Well that’s a hard one, I think De Nero plays me quiet well but my favourite version of me is from a music video by Tenacious D. The guy from Foo fighters was great at being me, I still can’t get over how much he looks like the drummer from Nirvana though. 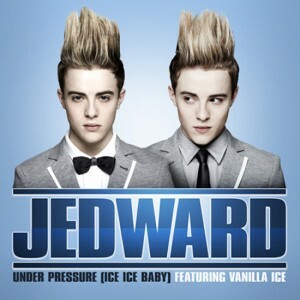 I regret Jedward, it was just a joke but you lot just kept running with it and voting for them. I do think I would like to change that if I got the chance, they were on reflection just too much. The book ‘John the Barman’ lifts the lid on a lot of what divine and supernatural people get up to, are you worried about how you may come across? 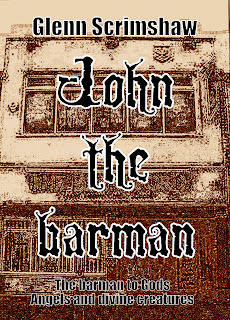 Not really, John’s bar is a place where we all go to unwind and the book should show how we all work together. I know Thor is grumbling about the book but he always finds something to grumble about so we just let him get on with it. Most of us are looking forward to it actually and even though a few bits had to be removed for legal reasons it does portray how we really are when we’re not working. What people don’t understand is we’re just one big happy family and just because we have different religions it doesn’t mean we don’t get on. I mean it would be really stupid if I didn’t get on with old Jupiter just because his followers called a festival by a different name and sacrificed a cow or something. I mean when we first started doing this we often went to the old gods for tips and advice, we used their experience and wisdom. You’re never going to get very far in our game if you don’t pool resources with the other gods. 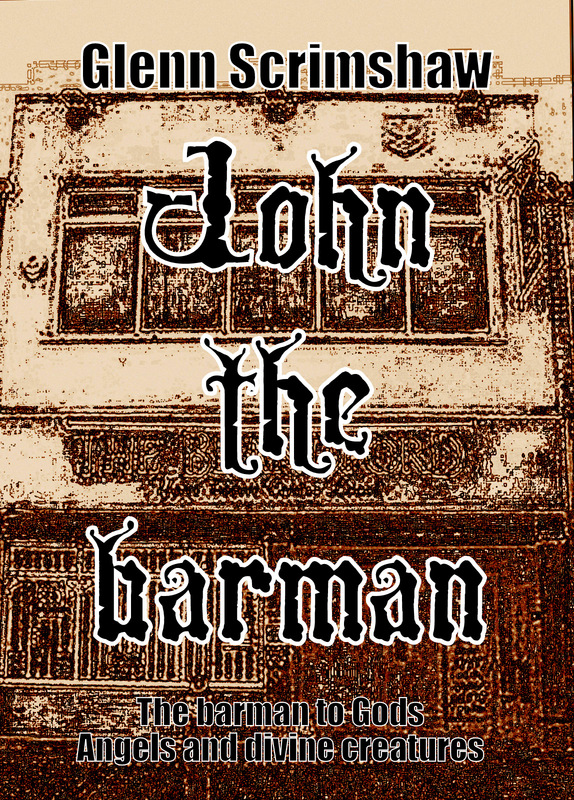 You will find more about Lucifer in John the Barman, the new short story eBook by Glenn Scrimshaw and published through Gingernut Books. Available through Amazon and other online shops. GREAT interview! Hope I get to see another with Thor, or one of the many other God's roaming about.